Within a year of introducing themselves on Myspace, The Cool Kids have become the most talked-about Chicago hip-hop group without a presence on retail shelves. 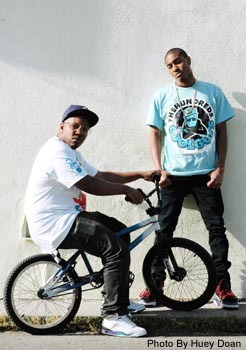 Only in January did this duo, which comprises Chuck Inglish and Mikey Rocks, officially put a single up for sale on the Internet. That song, the bottom-heavy ode to BMX bikes “Black Mags,” not only spawned a superbly shot black-and-white video, but it was performed by The Cool Kids on a heavily-aired Rhapsody commercial also featuring popular singer-songwriter Sara Bareilles. As of press time, their Chocolate Industries-backed debut EP, The Bake Sale, has yet to be released, even though it was originally supposed to drop in January. And this EP mostly consists of songs already available for streaming on their Myspace page. As for their full-length album, that won’t be out until possibly later this year. For Chuck Inglish, the Detroit native who first started working with Matteson-bred Mikey in late ’05 after meeting the rhymer online, there’s no real hurry to get a physical product out. A lot of love came streaming in online for The Cool Kids following the posting of “88,” but so did the hate, as message boards devolved into flame-fests calling Inglish and Mikey out for their colorful “hipster” gear and for using hip-hop’s past as a gimmick. While Inglish is a few years older than Mikey, the fact is The Cool Kids were both very young when the golden era was in effect. Inglish is especially defensive about those who question his familiarity with the history of hip-hop even if he was a toddler during those days. Inglish specifically favors the complex simplicity of Special Ed’s defining single “I Got It Made” and the imagery of Eric B & Rakim videos like “Paid In Full.” The goal for The Cool Kids, though, is not to be just a throwback. Inglish and Mikey want to sustain the fun from those days. While The Cool Kids’ sound has often recalled the thump of the 808-type drum machines, their production setup — consisting of Propellerhead’s CPU software Reason — allows for much expansion. And if one of their most recent tracks, “Action Figures,” is any indication of the direction they’re headed, The Cool Kids are already on a whole new wavelength. The upcoming single is the group’s most lively cut to date, accented by dramatic synths and punchy drums. Moreover, the theme of examining the cycle of gang culture here is definitely something new for the duo. As The Cool Kids await the release of their EP, they plan to stay busy on tour connecting with fans and by making tracks. 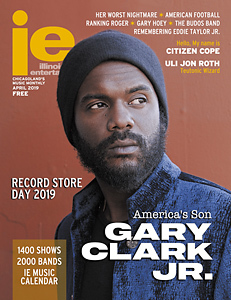 In fact, the day after this interview with IE, Inglish and Mikey will have landed in Europe for their first overseas tour. Inglish remains confident about the impact of his group, though he makes no promises about what future moves like this tour will do for the group’s success. “Everybody’s waiting for us to get there [in Europe and Australia], so we’ll see what the effects are when we land there,” says Inglish. No doubt loyalties will be born and tested, but one thing remains certain: No matter the currency, The Cool Kids won’t be bought. Because for now they can’t.